Innovative solutions are becoming more available to allow electric mobility to enter the mass-market. An important part of this is the charging technology. The term smart charging is used for charging systems of electric or hybrid vehicles according to ISO 15118, DIN SPEC 70121, SAE J2847/2. Vector supports developers of on-board charging ECUs in the vehicle, charging stations and induction charging systems with extensive test systems and bespoke ECU software. 6th Vector E-Mobility Engineering Day on April 16, 2019 at Vector Stuttgart. Ongoing debate about diesel cars has benefited electric mobility by shifting it more into the public spotlight. However, road users are generally unaware of the specific challenges associated with this form of transportation. Specialists are working intensively to fulfill the technical prerequisites for successfully managing the transition. This year, visitors to the 5th Vector E-Mobility Engineering Day can get an impression of some of the issues involved – vehicle technology, the charging infrastructure and standardization. The battery in the vehicle is always charged with direct current (DC). This means that the charging systems (charging infrastructure and vehicle electronics) need to be set up differently. An AC/DC converter is needed in the vehicle for AC and inductive charging. In the case of DC charging, this converter is already installed in the charging station, i.e. the charging station is essentially directly connected to the battery. That is why in DC charging the vehicle must always communicate its momentary charging power requirements to the charging station. 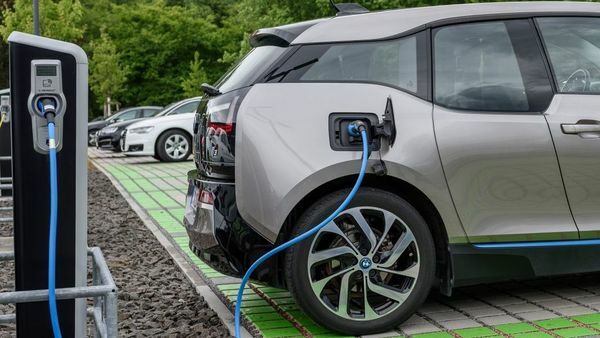 This means that it is absolutely essential for DC charging systems to be equipped with a communications unit between the vehicle and the charging station. The physical communication medium and details on the message sequence are defined in these national and international standards: ISO 15118, DIN SPEC 70121, SAE J2847/2, GB/T 27930 and CHAdeMO. ISO 15118 is the only standard to describe the option of an automatic payment process with authentication based on certificates and TLS security. In the standard, this mechanism is referred to as Plug’n Charge (PnC). In principle, inductive charging systems work with alternating current. It is not possible to simply limit the power on the vehicle side, so communication is also necessary – in this case between the vehicle (secondary side) and the floor plate (primary side). This communication is currently also specified in ISO 15118. As powerline communication via the control pilot pin in the form of a PWM signal and a digital signal for HomePlug-GreenPhy standard. Wireless in case of inductive charging. Vector supports developers of on-board charging ECUs in the vehicle, charging stations and induction charging systems with extensive test systems and bespoke ECU software. This helps you to develop your software quickly and cost effectively. Using the Vector test solution for smart charging, you can test on-board charging ECUs without having to operate a real charge spot. Within the test, the behavior of the charge spot is simulated within a wide range and can be varied. Through system-wide uniform time stamps, the test system is able to set the charging communication, bus communication and I/O events in a precise temporal relation. You would like to test on-board charging ECUs quickly and easily? For testing the charging communication, the VT System offers e.g. Using the Vector test solution for smart charging, you can test charge spots without having to run a real on-board charging ECU. Within the test, the behavior of the ECU is simulated within a wide range and can be varied. For the rapid development of on-board charging ECUs, Vector offers the software stack MICROSAR.CHARGE. The stack already contains the entire protocol stream of smart charging according to ISO 15118, DIN SPEC 70121 and SAE J2847/2. Controlling the Powerline transceiver is included, too. MICROSAR.CHARGE also supports the standards GB/T 27930 and CHAdeMO for China and Japan. These specify the DC charging and are based on communication via CAN. Vector offers MICROSAR.CHARGE, which are embedded software modules that cover the vehicle-side communication sequence for Smart Charging. The MICROSAR.CHARGE basic software fits seamlessly into existing AUTOSAR architectures and is being used in series production at a number of OEMs. It can also be used with existing OEM-specific software architectures. Ethernet-based communication is supported according to ISO 15118, DIN SPEC 70121 and SAE J2847/2. This so called Combined Charging System (CCS) is common in North America and Europe. For all vehicle manufacturers, AC and DC charging is supported with the profiles EIM (External Identification Means) and PnC (Plug' n Charge) including SLAC (Signal Level Attenuation Characterization). In addition, Value Added Services (VAS) can be connected via HTTP and DNS, for example, or OEM-specific functions can be implemented. This could be, for example, a parallel, proprietary communication between the vehicle and the charging station in order to exchange additional information. In addition to the CCS-related standards, Vector also supports the GB/T 27930 and CHAdeMO standards for China and Japan. These specify the DC charging and are based on communication via CAN. AC charging is controlled exclusively by a PWM signal. The VC-VCCU is an ECU specially developed for communications in electrically-powered commercial vehicles. The ECU handles standardized communication, e.g. between electric buses or urban trucks and the charging infrastructure. For the rapid development of charging stations, Vector offers the software stack vEVSE. The stack already contains the entire protocol stream of smart charging according to ISO 15118, DIN SPEC 70121 and SAE J2847/2. With vEVSE, Vector provides embedded software modules for the charging station which covers the communication process according to ISO 15118, DIN SPEC 70121, SAE 2847/2. For all charging station manufacturers, AC and DC charging is supported with the EIM (External Identification Means) and PnC (Plug ‘n Charge) profiles including SLAC (Signal Level Attenuation Characterization). The software fits seamlessly into existing LINUX systems. For further Information about the charging station software, please get in contact with Vector.